EOI B2:2 Inglés Success: Congratulations Paco & Manuel! Well done Paco and Manuel. The summer is here and you can start this period of the year celebrating your exam achievements. Your achievements were earned under your own steam, and I for one, bow down to your brilliance. Well done! 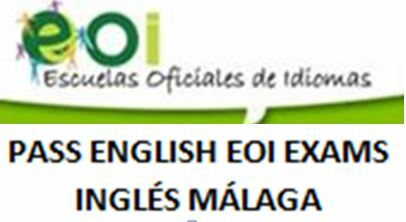 Posted on Jun 21, 2018 Jul 1, 2018 by Inglés MálagaPosted in ReadingTagged academia ingles malaga, aprende ingles malaga, b2, C2, clases particulares ingles malaga, cursos de ingles malaga, eoi ingles, ingles intensivos malaga, intensivos verano ingles malaga. Previous Previous post: Do you speak like a football fan?